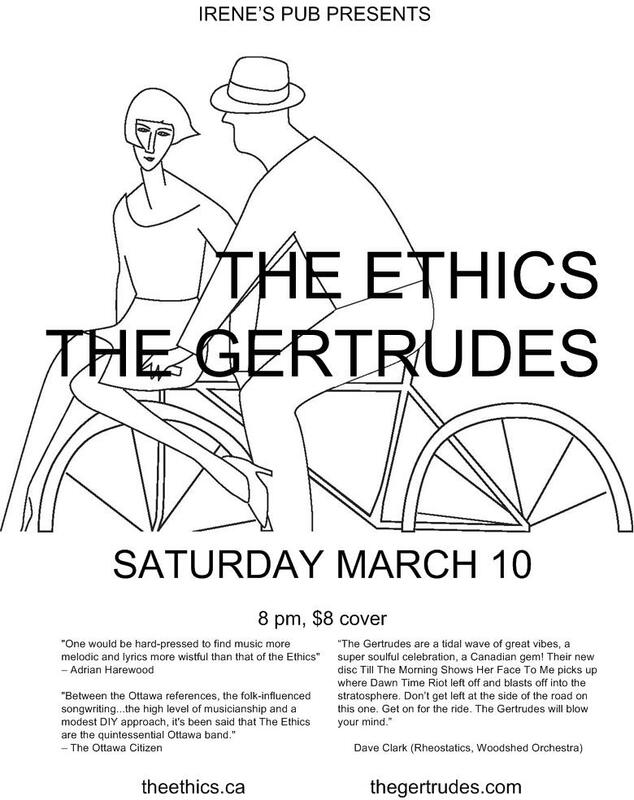 The Ethics return to the stage at Irene’s on Saturday March 10. We’ll be joined by Kingston’s The Gertrudes. They are a folky collective we’ve been hearing good things about for several years now and we look forward to meeting them and sharing the bill. There’s no lack of either hooks or harmonies in the folky pop-rock songs of Kevin Hersak and his band. What’s more, the album captures the groove of a band known for its solid live show, something that was not as effectively conveyed on their past recordings. Also contributing to the filledout sound is the addition of a keyboardist to the core lineup.